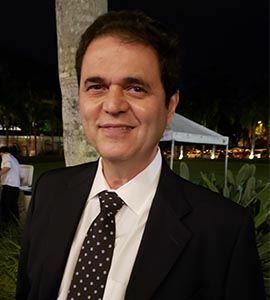 Dr. Nelson Martins is Assistant to the Director General of CEPEL and active in IEEE-PES Power System Dynamic Performance Committee and CIGRÉ SC C2. His research interests include: small- signal stability, large-scale eigenvalue methods, controller design, power flow controls, FACTS & HVDC controls, power system harmonics, model reduction, blackouts and system restoration. He was elected a Foreign Member of the US National Academy of Engineering (NAE) in 2015 and received the 2015 IEEE PES Prabha S. Kundur Power System Dynamics and Control Award.